Thanks to CENTRALDM, a new forum member from South Africa, I have confirmed that owners of European made Yaris can add cruise control to their Yaris by just adding the OEM cruise control stalk or via my homemade 2 or 4 switch method. CENTRALDM had asked me about purchasing a cruise control kit for his 2012 Yaris and I had him do a quick test of jumpering the two pins on steering column end of the spiral cable to see if the cruise control indicator would light on his cluster. The two pins are in the same position, on the same connector as the USDM Yaris (this connector is the one directly under the steering wheel, on the steering column). On 2nd generation USDM Yaris this was called connector D3. On 3rd generation USDM Yaris (2012+) it is called connector D103, and 3rd generation European Yaris it is called Connector F5. Here is a picture of his 2012 European connector F5. The brown wire on the bottom left is the ground wire for the cruise control and the beige wire to the left of it is the CCS wire to the ECM. 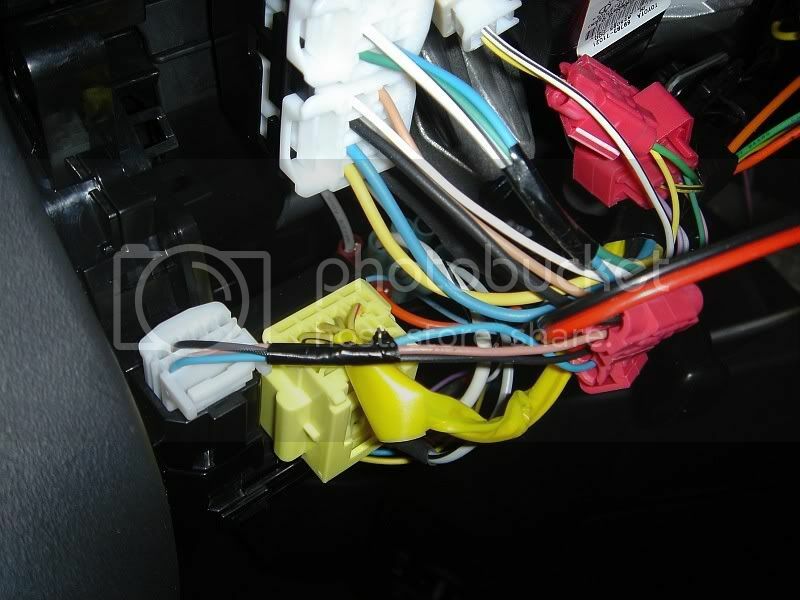 For my 2 or 4 switch DIY method, the beige wire would be the equivalent of the blue wire on the 2nd gen USDM Yaris. Momentarily Jumpering the beige wire to the brown wire, with the ignition on, simulates pressing the On/Off switch on the cruise stalk and therefor should light the CC indicator. A couple of minutes after I emailed the instructions, he emailed me the following picture showing the illuminated indicator, which confirmed that his manufactured in France Yaris is indeed ready for cruise control, so I am now preparing to ship him a cruise control stalk for his Yaris and a second for a Yaris of a friend of his. Is there someone in the UK that can purchuse for me reverse camera (Camera unit)for my new Yaris. I would like if this person can courier it to South Africa.